Although health and safety laws vary between EC countries, there are many shared elements, such as the Framework Directive on Health and Safety in the Workplace (1989). One principle recognised by all is the need to report incidents at work, which means that – in theory – all governments have a good starting point for analysing and comparing safety performance. The European Agency for Safety and Health at Work (‘EU-OSHA’) collects statistics from agencies in each country. These are collated, analysed and reported upon by Eurostat, the statistical office of the EC. Because each country has its own systems and criteria for data collection, the information is not always directly comparable between all. However, there is sufficient agreement to allow some very useful conclusions to be drawn. In practice, it’s not possible to answer that question even within an individual country. When an incident involving a goods vehicle happens, some industries will report it under one category and some under another. Then the government organisations handling the statistics will combine the statistics for a number of industries into categories much broader than ‘freight-by-road logistics’. In addition, some countries, including the UK, record incidents on the road in a different way to incidents involving the same vehicles but happening at a workplace. 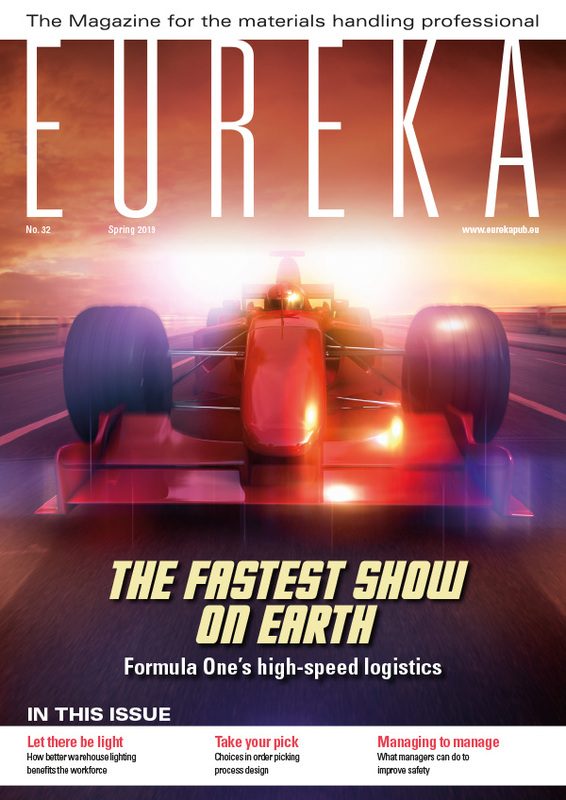 The result is that there is no easy way of finding out how safe or unsafe logistics is, or of comparing your company’s safety performance with an ‘average’ company, by looking at the Eurostat or individual country agencies’ reports. Data requested from participants in the FTA benchmarking study. To overcome this problem, the Logistics Safety Working Group of the UK’s Freight Transport Association (FTA) has set up a new benchmarking system. The FTA is a membership organisation representing goods vehicles operators and freight-by-road consigners. Its Logistics Safety Working Group was set up in 2010 with the aim of reducing levels of work-related death, injury and ill-health in the logistics sector. “Our first step has to be identifying and measuring problems. We can’t hope to improve a situation until we understand it. Statistics on logistics safety performance are very difficult to extract from the RIDDOR* figures. In fact, on-road incidents are not even included in those data sets. The only way forward is to gather our own data. “The group decided to focus on a small number of quantifiable key performance indicators. We needed to obtain information that FTA members would find useful, but without demanding too much of their time. We also recognised that companies’ incident recording procedures and systems vary, so we stuck to measurements that could be easily compared. In the UK, fatalities and injuries are counted whether they are suffered by employees, visitors or members of the public. 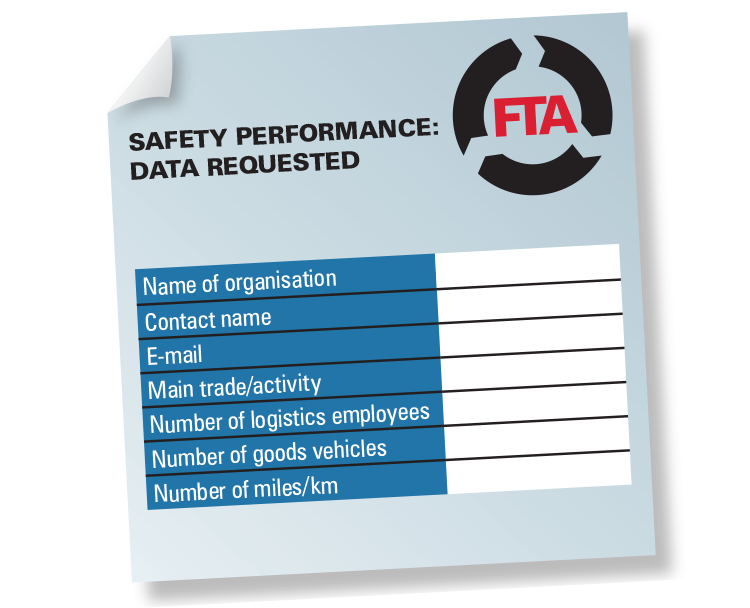 Initially, a small number of companies have completed the simple data request form that the FTA circulated at the beginning of 2013. Each company’s figures are kept anonymously. As the data set increases, the group aims to have enough information to allow benchmarking of specific sectors within the logistics industry. The level of seriousness of an off-road incident is categorised differently to that of an on-road incident, at least in the UK. In all cases, fatalities and injuries are counted whether they are suffered by employees, visitors or members of the public. In the benchmarking comparisons, off-road incidents will be expressed per 1,000 employees. For on-road incidents, the factor that multiplies risk is not the number of employees but either the distance travelled by vehicles or, if the distances involved are relatively small, the number of vehicles. The data will therefore be expressed in terms of incidents per million miles (1.6 million km) and per thousand vehicles. 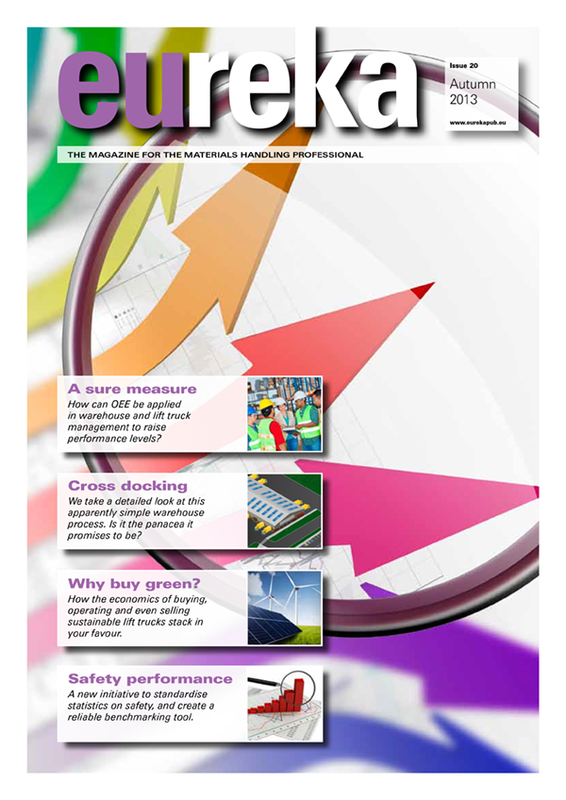 Sally Thornley of the FTA says: “On receiving graphs and tables showing their own KPI figures and those of the industry as a whole, participating companies will be able to map their own safety performance and benchmark themselves against others. They will be able to see where they are doing well and where they need to make improvements. “For the FTA’s Logistics Safety Working Group, the figures will be used to direct our activities, so our efforts are focused on the areas of greatest risk, and to identify good practices which have positively affected performance. They will also help to inform the continuing discussions between the Health and Safety Executive and our industry. * In the UK, incidents need to be recorded under the Reporting of Injuries, Diseases and Dangerous Occurrences Regulations 1995 (RIDDOR).